I love baking. The smell, the taste, the whole process is something I thoroughly enjoy. I'm lucky that my five-year-old loves to help me bake and cook and is becoming a great kitchen helper. However, he is also very vocal about his likes and dislikes. Oatmeal cookies fall into his dislike category. The spices in regular oatmeal cookies aren't among his favorites and he will rarely eat them. A couple of years back my mother-in-law gave me a recipe for Butterscotch Oatmeal Cookies, which my five-year-old actually loves and I make pretty frequently. This is the recipe. Combine flour, soda, salt and cinnamon, set aside. Cream sugars and shortening. Add eggs and beat mixture. Add oats and flour mixture. Roll into balls and place on a greased baking sheet. Bake at 325 degree for 15 minutes. These cookies have a slightly crunchy texture. They have less spice than a lot of other oatmeal cookie recipes and the addition of the brown sugar is delicious. An easy and tasty cookie recipe. Adapted from a family friend's recipe. I just love butterscotch and oatmeal cookies so I am sure I would REALLY LOVE these! omg yummm!! Those look so delicious, can't wait to try & make them! Thanks for sharing. @Mizzreviewlady They are pretty yummy and very easy to make! @Mary and Dyer Thanks :) I'll go over and check out your giveaway! sounds SO yummy!! i'm going to have to make these for my husbands poker night on friday! This recipe seems easy enough for culinary-challenged mamas like me to follow! Thx! Yummy...how bout I just send you my address? *lol* I don't spend a lot of time in the kitchen. DH does most of the cooking and I do the cleaning. 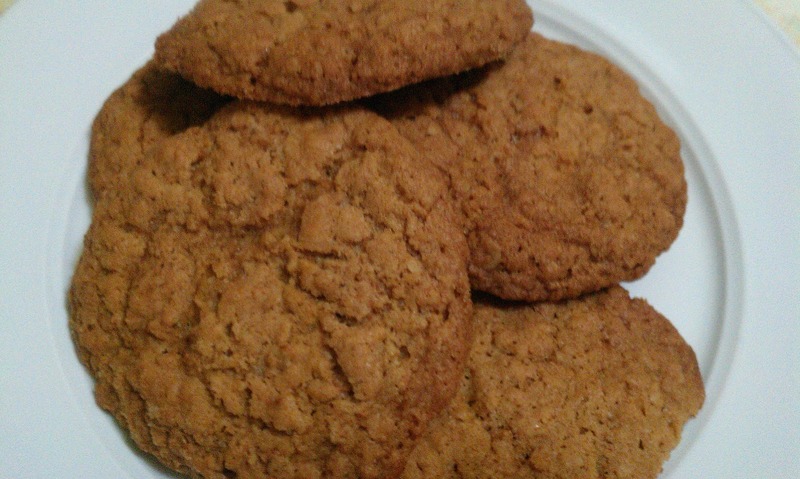 Boy, do these butterscotch cookies love yummy! Makes me want to do some baking this weekend. Thanks for sharing. Visiting from the blog hop! @Andreea I use artificial sweetner in my baking a lot and it works great! @Jessica they are pretty yummy and super easy! I cheated today and lit a pumpkin candle. Made the house sell like I've been baking! I'll be trying them soon...they sound delicious. I am going to have to try these cookies. They look YUMMY!!! @the happiest Thanks, they were yummy :) Followed you back! I just love cinnamon spiced cookies! Thank you for sharing the recipe with us! @Doll House I love cinnamon spiced cookies also :) Hope you like the recipe if you try it!